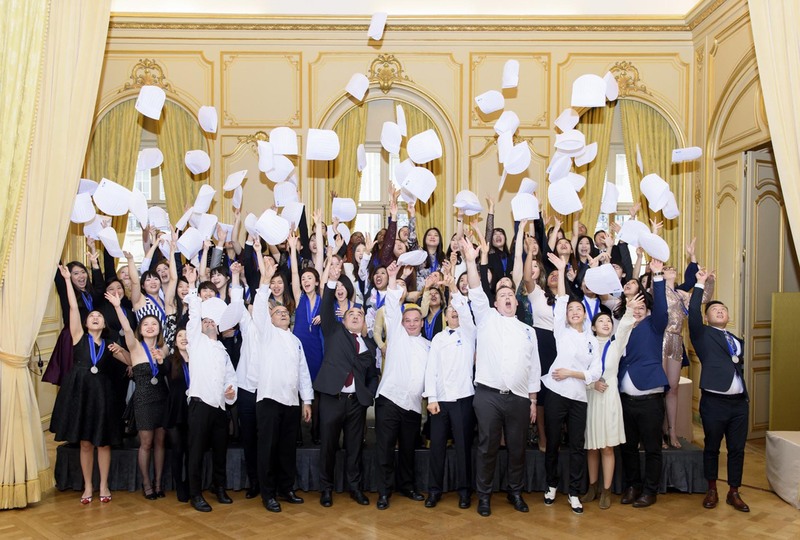 The graduation ceremony of Le Cordon Bleu Paris Culinary Arts (Grand Diplôme - Cuisine Diploma - Pastry Diploma - Boulangerie Diploma) students took place on November 18, 2016. The ceremony was held at the ‘Cercle de l’Union Interalliée’ with graduates' family members and friends. On this special day, Le Cordon Bleu was honored to welcome, as class patron Jean Pierre Stephan, President and founder of the FIPC (International Festival of Culinary Photography) and Dominique Anract, President of the Professional Chamber of Bakery Chefs/Pastry Chefs of Ile-de-France. Born in Villeneuve-sur-Yonne, Chef Anract was awarded his “Certificat d’Aptitude Professionnelle” (CAP) in pastry, confectionery, chocolate and ice cream from Le Castel vocational school in Dijon. From 1980, Chef Anract worked as a pastry Chef in a number of different bakeries/pastry shops in France. In 1982, he was recruited as pastry Chef by Michelin-starred restaurant Chez Laurent and became “second” to the pastry Chef in 1984. In 1985, he decided to go to Phoenix, Arizona, in the United States to work as a pastry and cuisine Chef. In 1986, he returned to France to take on the role of pastry Chef and, in 1988, opened his own bakery/pastry shop in Paris’s 16th district, managing a team of 5 employees. In 1995 he became the owner of La Gerbe d’Or bakery/pastry shop, in Paris’s 8th district, with 40 employees and, since 2001, has owned the bakery/pastry shop and caterer, La Pompadour, rue de la Tour, in Paris’s 16th district. During his entrepreneurial career, Chef Anract has trained more than 75 apprentices, demonstrating his dedication to the pastry and boulangerie professions. During his working life, Chef Anract has received a number of awards: Best Pastry Apprentice (Meilleur Apprenti Pâtissier) of the Côte d’Or department, 3rd in the Best Pastry Apprentice in France (Meilleur Apprenti Pâtissier de France) regional competition, medal of recognition from the CPABP (Professional Chamber of Artisan Bakery and Pastry Chefs), obtaining silver in 2014, and the artisanal recognition silver medal (Paris Chamber of Trades and Crafts) in 2015. Chef Anract is today President of the Professional Chamber of Bakery Chefs/Pastry Chefs of Ile-de-France. 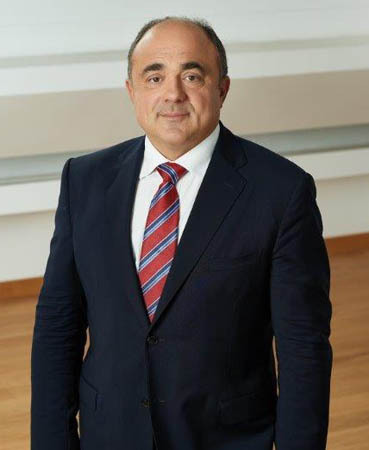 He has been in charge of the Professional Chamber for the 16th district since 2006 and President of France’s National Centre for accredited interprofessional Management (Centre National de Gestion agrée interprofessionnel) since 2015. You have made the right choice of professional orientation, your training will lead you to take up positions throughout the world and the name of the Cordon Bleu will certainly help you find your place in world-class establishments. Jean-Pierre PJ Stéphan is a communications expert. At the beginning of the 1980s, he organized and managed a number of events around the globe (trade fairs, trade shows, seminars, conferences...). This wealth of experience has given him international expertise in the fields of marketing, public relations and communications. 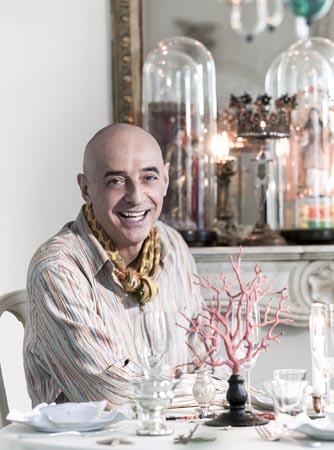 Acting as a consultant for a number of communications agencies, he opened his gastronomic restaurant in his native region, Normandy, in 1999...then, in 2004, discovered the world of culinary publishing. He has always been driven by one goal: to promote gastronomy in a different way, by combining his two passions: cuisine and contemporary art. His focus was clear: to pay tribute to the different perspectives of a photographer, and a Chef, when faced with an item of food. This is how the International Festival of Culinary Photography came into being in 2009.